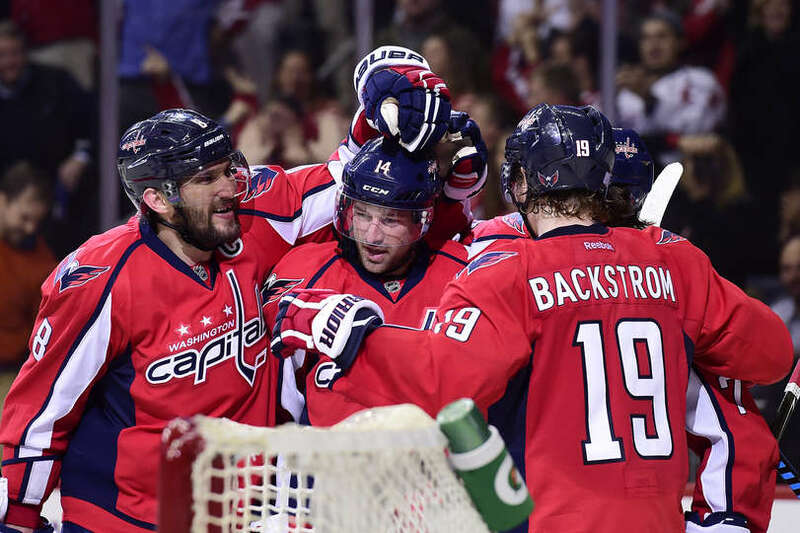 On Wednesday, the Washington Capitals will host the defending Stanley Cup champions, the Pittsburgh Penguins. The Penguins enter the game 26-8-5, which puts them in second place in the Metropolitan Division. Ranking first in goals per game and fourth in power-play scoring percentage, the Penguins, as always, will put up a fight against the Capitals. However, the Capitals are having a record breaking season. With Nicklas Backstrom’s assist Saturday, he became the fifth Swede in NHL history to tally 500 career assists. In addition, captain Alex Ovechkin is one point away shy of 1000 career points. Ovechkin could break 1000, against the Penguins, the Capitals’ biggest rivals. Not only will it be against their rivals, it will be at Verizon Center, a story that you really can’t make up. The Capitals have had a strong season, leading the NHL in goals against and ranking third in penalty kill percentage. The Penguins’ fourth-ranked power play squad will have a tough time scoring against the Capitals’ defense and their goalie, Braden Holtby. Holtby ranks second in the league in goals against average. Both teams are on win streaks entering the game. The Penguins have five straight wins, and the Capitals have six. Capitals forward T.J. Oshie did not play Monday night against the Montreal Canadians because of an upper-body injury. He will play Wednesday night against the Penguins. Oshie’s presence on the ice could be critical to winning against the Penguins. Oshie has scored eight of his 13 goals on the season at Verizon Center. He also has never scored in a game the Capitals lost. Statistically speaking, if Oshie scores the Capitals will win. Pittsburgh came out firing this after winning the Cup last year. In the first game of the season, the Penguins hosted the Capitals in PPG Paint arena in Pittsburgh. Once the game entered a shootout, Phil Kessel scored a game-winning, top-shelf goal. Both teams have one win and one loss in the rivalry this season. Both teams earned their lone win on their home ice. The Capitals and Penguins always have great games. It’s one of those rivalries where both teams play good hockey, no matter their records. 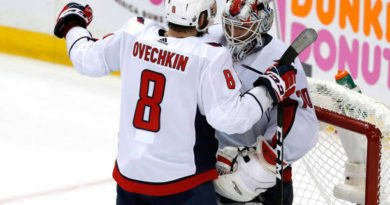 Washington’s Ovechkin and the Pittsburgh’s Sidney Crosby are both hockey legends, assuring this game is sure to be a hard hitting and high scoring.